Novi Sad is the capital of the northern Serbian province of Vojvodina. Novi Sad is the European Capital of Culture 2021. The city lays on the Danube and it is surrounded with the Fruška Gora Mountain from the south. The second largest city in Serbia is a city of multiculturalism, education, and uniqueness. Novi Sad is home for 26 national minorities. In the era of enlightenment and modernism, it was the centre of Serbian culture and creativity, with the MaticaSrpska as the oldest Serbian cultural and scientific institution. Today, Novi Sad is a modern, university, cultural, tourist, scientific, political and administrative centre of the Autonomous Province of Vojvodina. It is a city of museums, galleries and theatres, rich in festival tradition and of international importance. Studio M is a studio and a concert hall – one of the symbols of Novi Sad. The construction of the building, designed as a large studio of Radio Novi Sad, started in 1959, by architect PavleŽilnik, and it was officially opened in 1965. Studio M’s acoustics are one of its most valuable features. Numerous concerts have taken place in this hall and have covered a broad range of styles including classical music, jazz, traditional, rock and more alternative sounds, although the hall is primarily intended for the orchestra of the parent radio network. The most important sights in Novi Sad are easily reachable on foot. But for those who are used to public transport, here is more information about bus lines, and available taxi and rent-a-car services. What to see in Novi Sad? What to do? Where to stay? Where to eat? 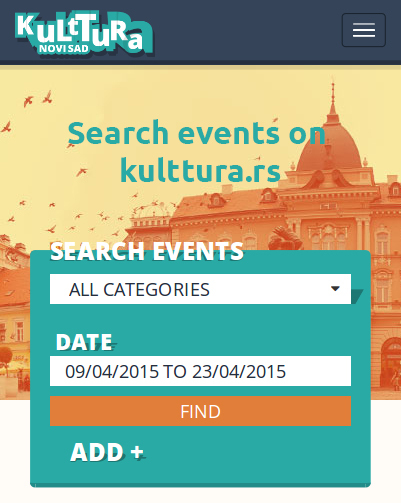 Find the answers to all these questions at the official website of Tourist Organisation of the city of Novi Sad. The official currency of Serbia is the Serbian dinar. Check out the official middle RSD exchange rate. The power sockets in Serbia are of type F. The standard voltage is 230 V and the standard frequency is 50 Hz.